Dr Ashok Ranchhod is Principal Teaching Fellow in Marketing Communications within Winchester School of Art at the University of Southampton. Ashok Ranchhod is Principal Teaching Fellow in Marketing Communications at the Winchester School of Art. He was recently appointed Emeritus Professor at Southampton Solent University where he was a previously Research Professor in marketing. Between 1999 and 2011 he was the CEO of the Mudra Institute of Communications Ahmedabad (MICA), the top Communications School in India. 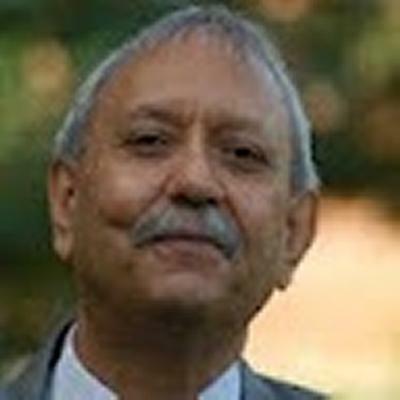 Ashok has published numerous books and articles, and he has received prizes for his papers at the Academy of Marketing and The British Academy of Management. He has undertaken consultancy work for major organisations and has written case studies on companies in several different sectors of industry for the Chartered Institute of Marketing. He has made several media appearances. Prior to his work in academia, he was the Managing Director of Microplants, a biotechnology company based in Derbyshire. Ashok has been an External Examiner at The London Institute, MMU Business School, University of Westminster, Henley and Ashridge Business Schools and more. He holds Visiting Professorships at the University of Angers (France), Napier University (Scotland) and the University of Canberra. In recognition of his services to business and marketing he was made a Fellow of the Chartered Institute of Marketing in 2000. Ashok Ranchhod is currently focusing his research at WSA on e-commerce and corporate social responsibility. He leads a team of research students in these areas. He is also interested in and looking at issues in Sports Marketing and Online Gaming Behaviours. He is currently putting together a multidisciplinary bid on looking at The role of Serious Games in Higher Education. Bringing together Academia, industry and students as the major stakeholders. Gary Wills at The School of Computing and Ashok have won a PhD scholarship from the University to pursue this. He is also working on a Luxury branding project in India with MICA and looking at ethical food consumption and marketing. Ross, F. and Ranchhod, A. (2006) E-tailing Strategies within the Intimate Apparel market. Academy of Marketing (London) Competitive Paper published in the proceedings.